Who: As the OG singer-songwriter and Head Witch in Charge of band Fleetwood Mac, Stevie Nicks also has maintained a chart-topping solo career of her own. 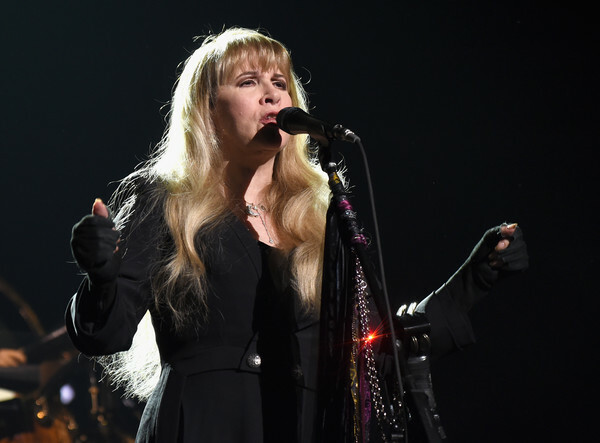 Why she's fearless: Named one of the "100 Greatest Singers of All Time" by Rolling Stone, Stevie is known for her mystical stage presence, signature witchy style, and most importantly, her poignant and poetic lyrics. She has stayed true to that vision throughout her career, making her a complete and total badass. And, at 69 years old, she's been in the game longer than most.